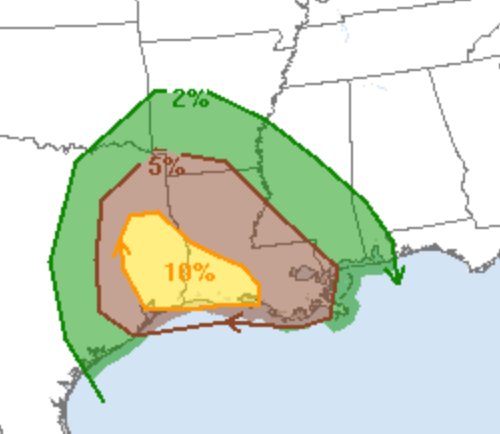 There is an enhanced tornado risk over the region today. Remember, 5% (brown) is the significant threshold. This includes, for example, Houston and Lake Charles. There is also a risk of damaging thunderstorm winds throughout the region. Here, 15% (yellow) is the significant threshold. 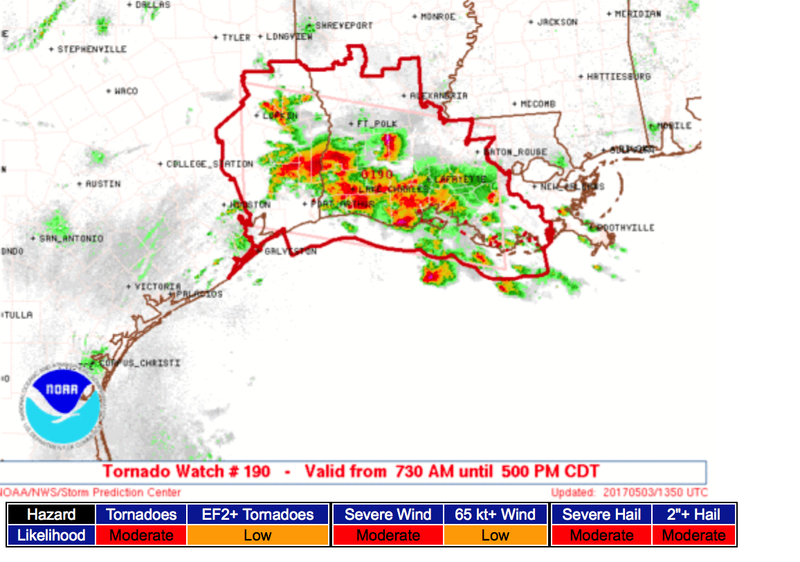 Finally, there is a tornado watch in effect until 5pm. 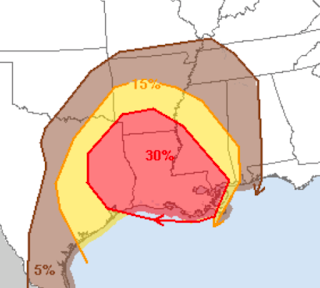 Large hail is also possible.